Description of Property: The main house was the original farmhouse and forge for the hamlet and has been added to considerably over the past 200 years. There are feature stone walls and fabulous beams around the whole house. "Le Grenier" which takes up the whole of the 2nd floor, was renovated in 2015 - there are large Velux windows offering great views across the local countryside; wood floors and all new bathroom and kitchen fittings. The furnishings are minimal but comfortable. Bed linen, towels, wifi, heating, hot/cold water and parking are all included in the room rate. 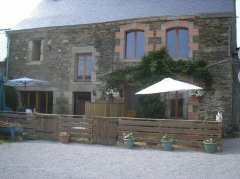 Outside Amenities: Guests have access to the large garden at the rear of the house and a sunny decked area at the front, where they can enjoy a glass of wine or have a barbecue. Surrounding Area: Josselin is a beautiful medieval town set on the river Oust, boasting a delightful château coupled with an excellent town square that offers many restaurants and cafes overlooking the Basilica de Notre Dame du Roncier. 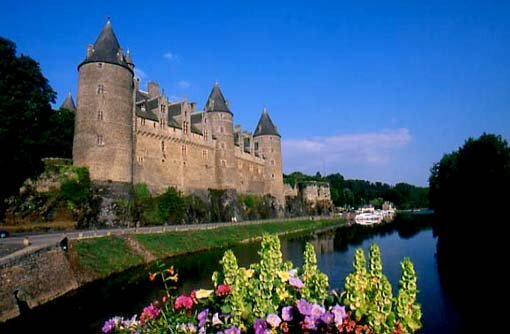 The Chateau is probably the thing people remember most about Josselin - there is also the Dolls Musuem (Musee Du Poupees) and the Chateau gardens to be seen at the same time. Visit the Cathedral and walk to the top of the Bell Tower (July and August - free!) to get a great view of the town and the canal. 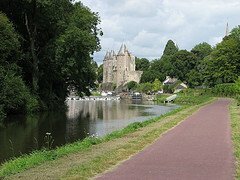 The Nantes to Brest canal runs through the town and is ideal for cycling along the towpath. Canoes, kayaks and bikes can also be hired from the hut in the carpark below the Chateau. 10 minutes away, the well known sailing lake, The "Lac au Duc" (Duke's Lake) , is an excellent site for relaxation or for water sports enthusiasts. The many activities at the Club Nautique include windsurfing, mini windsurf, water skiing dinghies, catamarans, canoeing, rowing and much more. There are also supervised beaches with full amenities including, tennis, volley-ball, golf, angling, walking or rambling, a fitness trail, horse riding, bathing and water slide to name but a few! The Lac au Duc is equipped with playgrounds and picnic areas and is the ideal place for the whole family. There is a lovely safe beach (man-made) for family picnics and swimming and also a nine-hole golf course running alongside the lake. 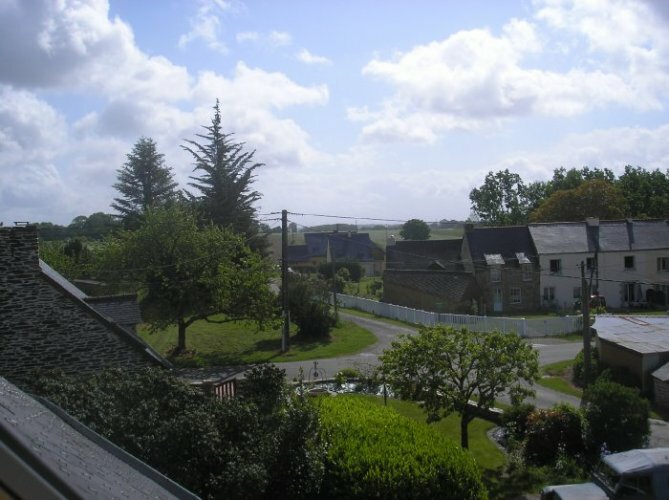 Brittany has some of the best fishing rivers and lakes in France , as well as something like one third of France 's coastline, giving a great variety for keen anglers. Just a few minutes from Brambuan is "Les Korrigans," where you can book individual riding lessons, go for a trek through the woods, or join in some of the organised activities. Mains water. Septic tank. Electricity. WiFi Broadband Internet Access. Satellite TV. DVD. Alarm. Not suitable for children. No smokers. No pets allowed. BBQ. Off-road parking. Pricing Info: Price all inclusive.